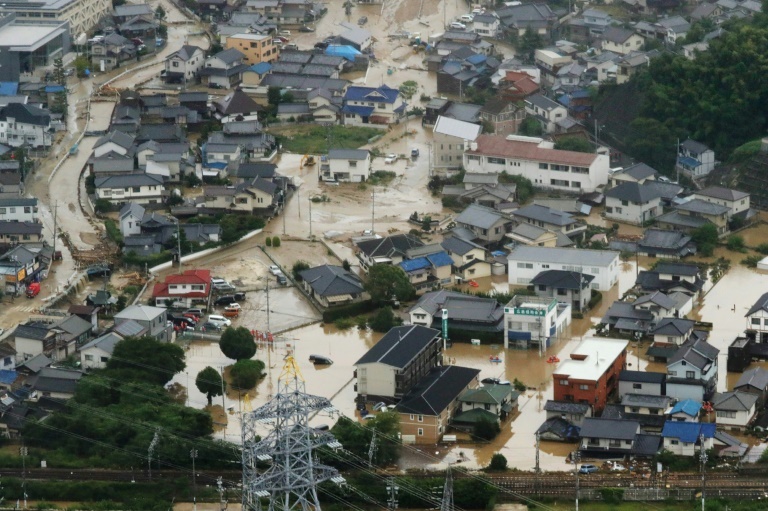 Earlier Sunday, Prime Minister Shinzo Abe warned of a “race against time” to rescue flood victims as there were still many people whose safety has yet to be confirmed. Masanori Hiramoto, a 68-year-old farmer, didn’t bother observing the Japanese custom of removing his shoes when he entered his ravaged home, the woven tatami mat floors carpeted with mud. “I don’t even know where to start cleaning. I don’t know what is where,” he told AFP. “I was in a car and massive floods of water gushed towards me from the front and back and then engulfed the road. I was just able to escape, but I was terrified,” 62-year-old Yuzo Hori told the Mainichi Shimbun daily in Hiroshima on Saturday.